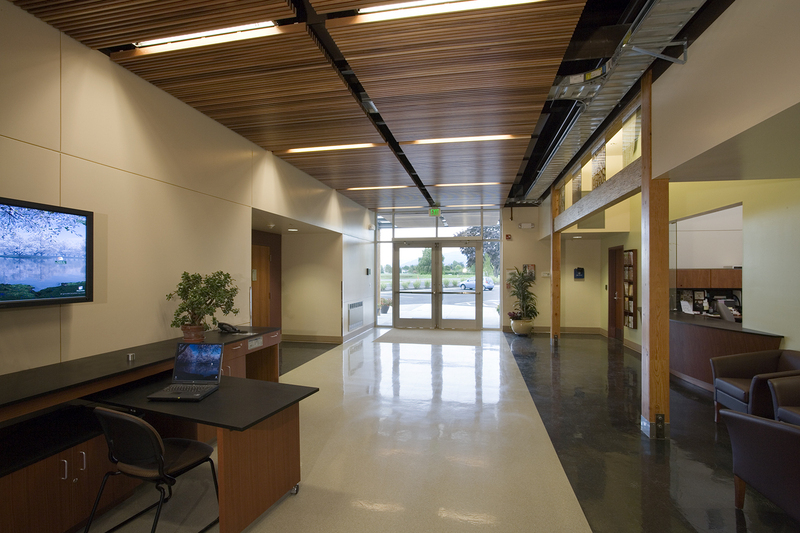 The farm architecture of Mount Vernon and the fertile Skagit Valley was the inspiration for this state-of-the-art research and education center. 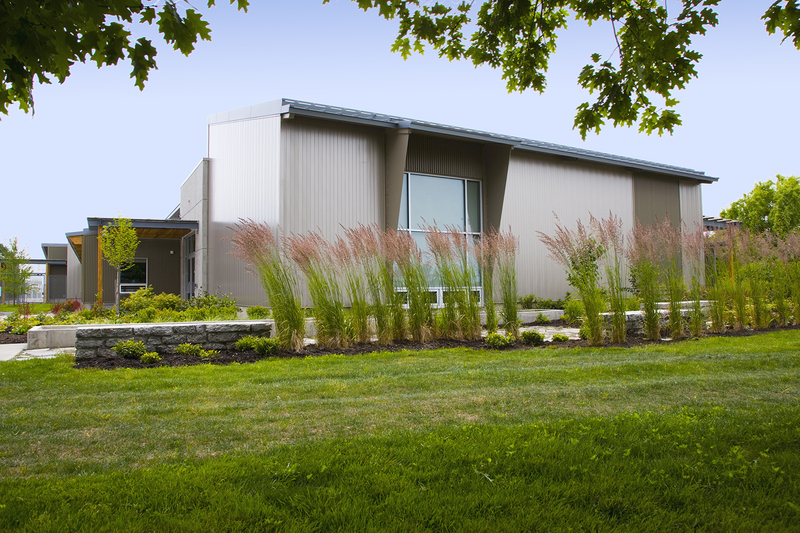 The building is set within the existing landscape, preserving existing trees and connecting to the research green houses. 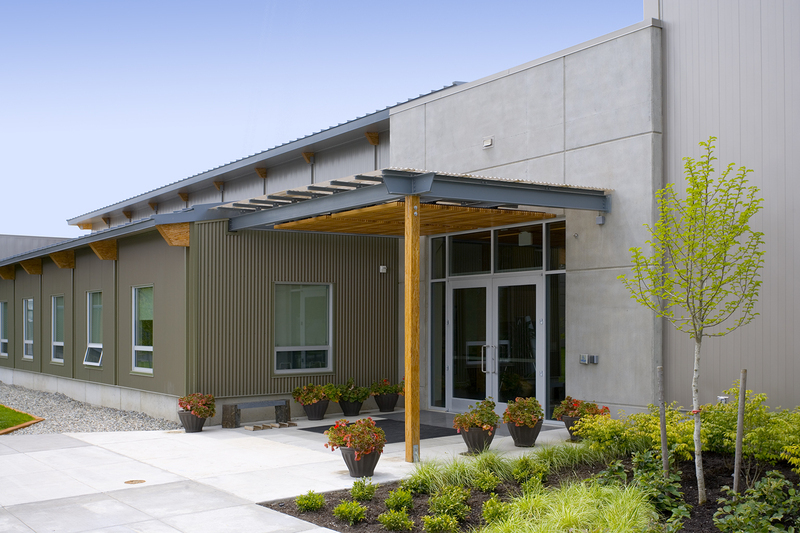 The concrete, metal siding and simple shed and gabled roofs echo traditional buildings in the valley. 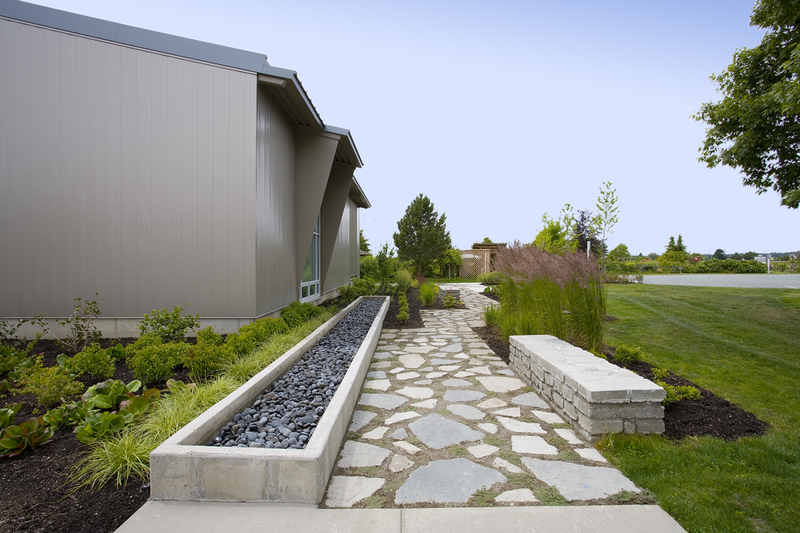 The theme is carried inside with its exposed structure, ducts, conduit and concrete floors. 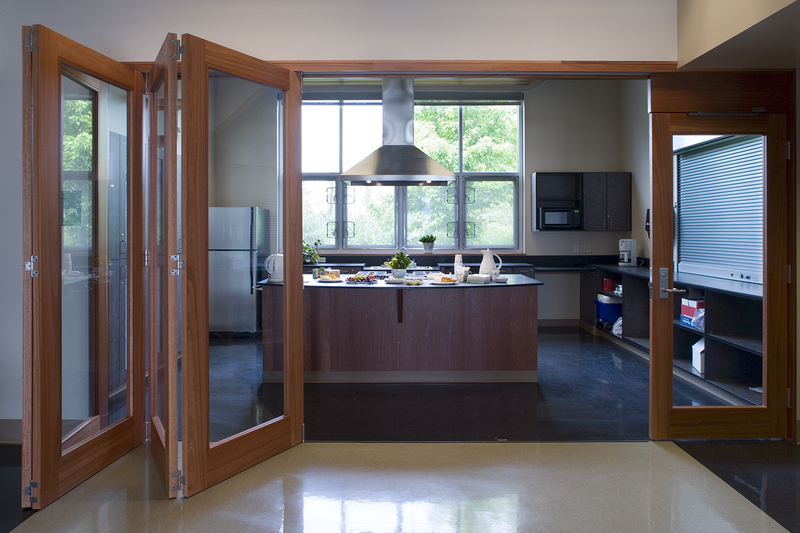 Clerestory windows provide natural daylight to rooms and hallways. 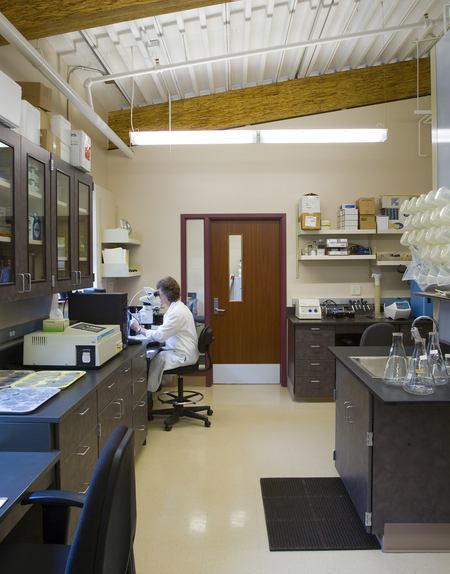 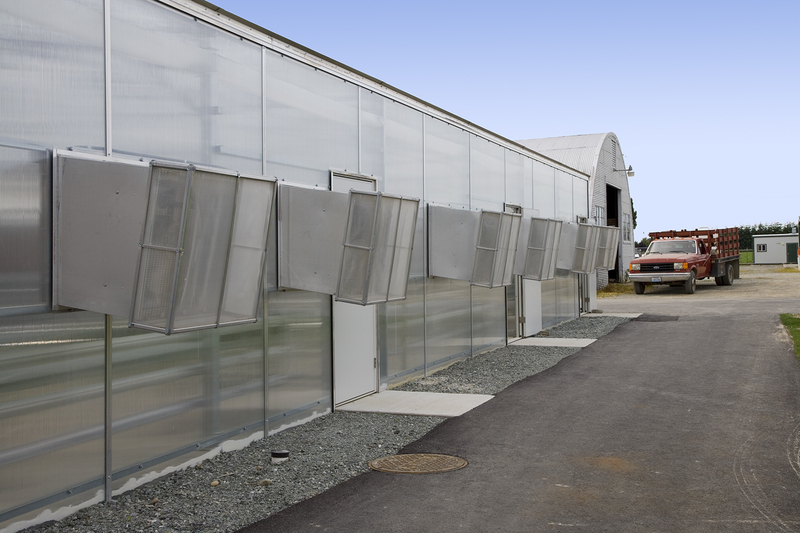 The research facility provides flexible, well-appointed lab for Processing and Field Horticulture, Fruit and Vegetable Horticulture, Vegetable and Seed Pathology, Water Quality, and Entomology. 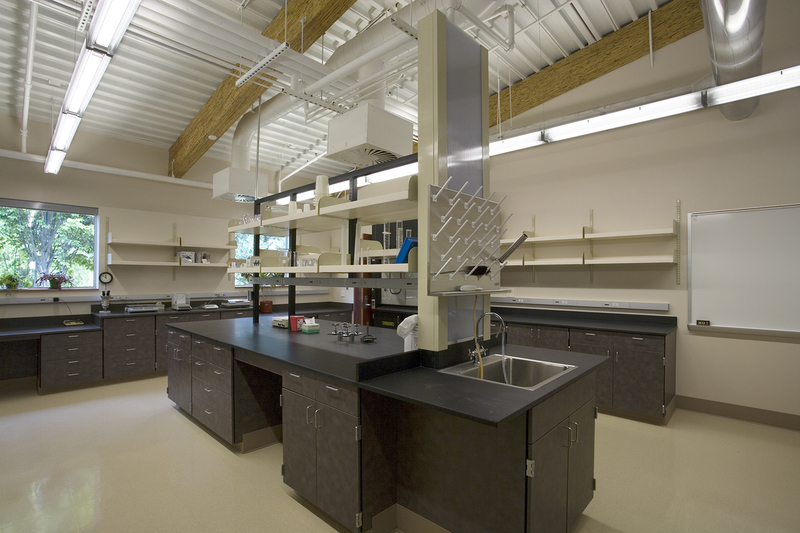 A large multi-purpose room, demonstration kitchen, greenhouses and outdoor learning areas complete the center.